Max informs us of his interaction with local churches and their response to being asked to join the 21st Century New Abolitionist Movement and educate their members on the issue of slavery never being abolished in America. He also interacted with some enslaved children in a local detention facility and talked to a former teacher about Teacher Unions being invested in prison slavery through their pensions. Speaking of private prisons, the Corrections Corporation of America is being cited for prisoner abuse, neglect and fraud in Idaho. Reports have surfaced claiming CCA has turned Idaho's largest state prison into a Gladiator School's. It was also cited for falsifying staff records in order to bilk tax payers out of money for hours not worked because the prison overseer positions were not filled. 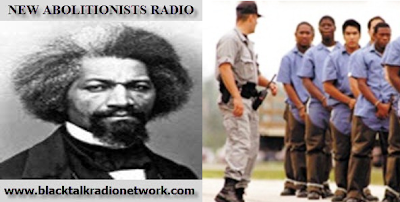 Download MP3 Tonight we want to share and discuss an audio clip from a speech Michelle Alexander gave to a church in 2011. In the clip Alexander, a legal scholar who worked as an attorney for the ACLU who worked on racial profiling issues, tells of her awakening to the fact that people who were comparing the legal system today to the system of slavery that was allegedly abolished in the United States were correct in their assessments. We also want to share news about the enslaved prisoners who are planning to go on possible hunger strikes and work stoppages at Pelican Bay State Prison in California. According to an attorney, The California Department of Corrections and Rehabilitation has already started punishing the enslaved for even thinking about a rebellion against the system of slavery in that state. Tonight we also profile another past Abolitionist. Harriet Tubman may not be considered by some as an abolitionist but she certainly was. w/ J. Jondhi Harrell & Glenn Davis from "Decarcerate PA"
Tonight we will be joined by Mr. J. Jondhi Harrell and Mr. Glenn Davis from "Decarcerate PA" which back in May held a march in Pennsylvania to demand a people's budget that invests in communities and not prisons. Judging from the participation in the march, it was successful in raising public awareness about 21st Century Slavery and Human Trafficking. "Decarcerate PA is a grassroots campaign working to end mass incarceration in Pennsylvania. We demand that PA stop building prisons, reduce the prison population, and reinvest money in our communities." After we speak with Mr. Harrell and Mr. Davis we will share some of the latest news related to 21st Century Slave and Human Trafficking and open the phone lines for a general discussion on the issue. 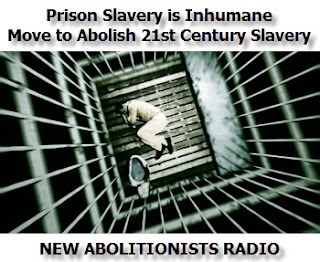 New Abolitionists Radio is hosted by Erika X and Max Parthas with technical assistance from Scotty Reid. All three are members of a new Facebook group called Move To Abolish 21st Century Slavery. Tonight we will hear from each about their reasons for joining the New Abolitionists movement and why abolishing 21st Century slavery is high on their lists as causes to join. We will also discuss some of the recent news on legalized 21st Slavery and Human Trafficking and some of our projects to help combat it. 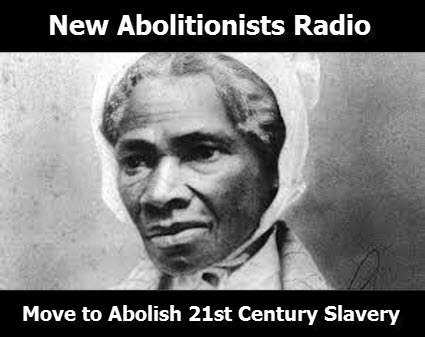 Starting tonight and on future programs, we will profile past slavery abolitionists, some known and unknown. Tonight we will profile the anti-slavery newspaper "The Liberator" which is an example of using media to start a movement.